Can Victims of Hookah Lounge Violence Seek Justice, Compensation? Hookah lounges are often targeted for criminal activity given late hours of operation, typically low levels of lighting, and (frequently) impaired patrons. Security measures are now in question following several tragic hookah lounge shootings across the country. 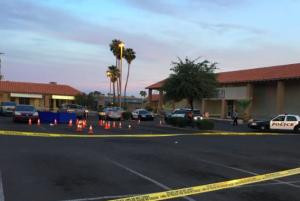 A 20-year-old man was shot and killed during an exchange of gunfire outside a Tucson hookah lounge on July 27, per Tucson News Now reports. According to ABC 13, “three people were shot at the Ultra Hookah Lounge” in southeast Houston on July 22. Two people were shot “at the House of Hookah” in Atlanta on July 1, 2018, per CBS 46 reports. Hookah lounge patrons have a right to feel safe and secure while on the premises of the establishment they are visiting. By law, property owners are required to protect all patrons legally on the premises from any foreseeable harm. Should a hookah lounge owner fail in this critical responsibility, they may be held civilly liable for any injuries, sexual assaults, or wrongful deaths which occur as a consequence.